More advanced training for existing confined space operators in the areas of gas testing, permit issuing and risk assessments. Funding is available for eligible members of the construction industry. If eligible, pay only $37.00 - save $202.00! Check your eligibility and apply now. 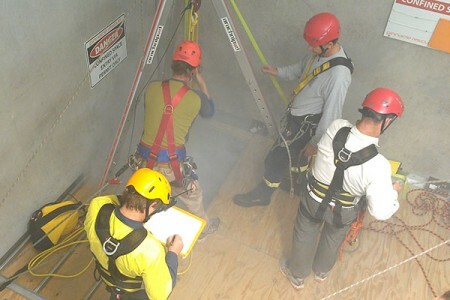 This is generally conducted as the second day of our ‘Confined Space Entry - 2 day’ course. 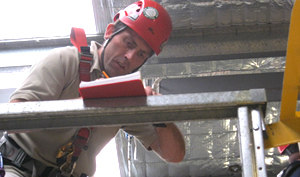 While there are no formal prerequisites to attending this course, participants will benefit from having solid working experience in confined spaces, or holding the unit RIIOHS202A/RIIWHS202D Enter and work in confined spaces (or equivalent). This unit is attained on day 1 of the 2 day course and if you require it, please attend the full 2 day course. Trainees who need to be able to operate breathing apparatus, please see our Operate Breathing Apparatus course. 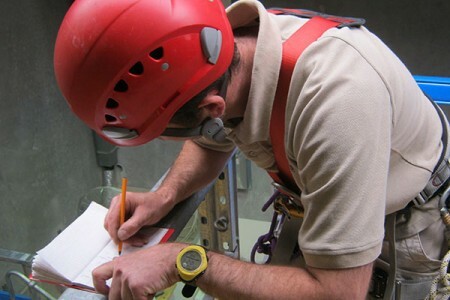 Trainees who need to be able to undertake confined space rescue, please see our Confined Space Rescue course. This course can be conducted on-site or at one of our training facilities located in Brisbane, Gladstone, Sydney, Melbourne or Perth. David is by far one of the most professional, inspiring and personable teachers I’ve ever had. Thank you for making what could’ve been a very stressful day, informative and interesting!